Dervish - pinky mauve. This one's permenant! Baby Sparks - pale pink with violet shimmers. My FAVOURITE lipglass!! Read my review of this one here. Fantasia (Lustre) - dark rose. Cedar - mid rose shade. Get Rich Quick - a yellow brown. Next are the Eye Bags (what a horrible name! :S)! 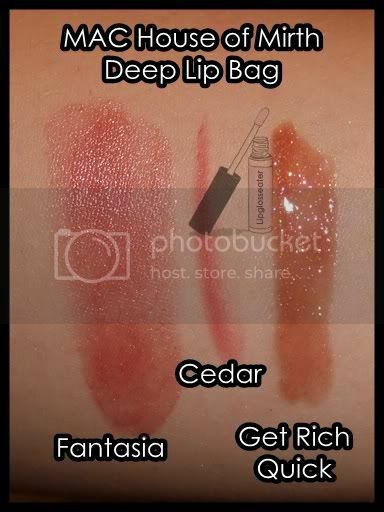 They're the same price as the Lip Bags at US$36 / RM150 each! 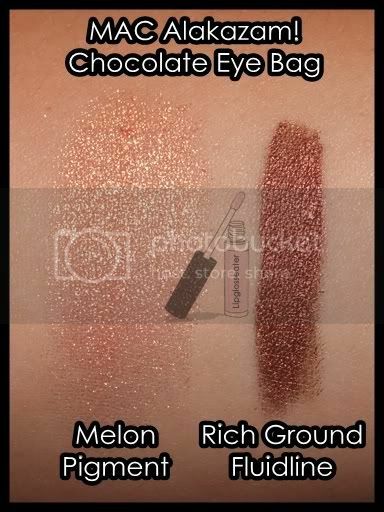 Both bags come with the Zoomblack Zoom Lash mascara and a 209SE Brush as well as a pigment and a fluidline. Shimmertime - soft pinky white. Rich Ground - a frosty brown with some red in it. 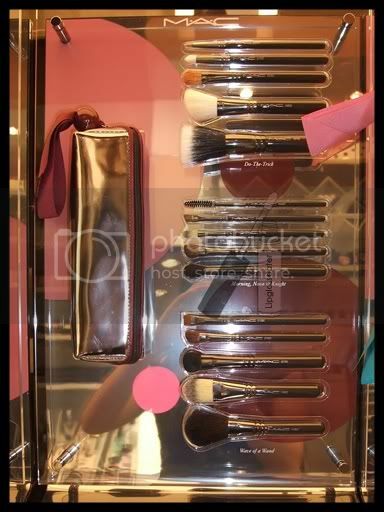 Next lets look at the Brush Sets (US49.50 / RM250)! Do-the-Trick Buff and Line Brushes: 168SE, 187SE, 209SE, 219SE and 252SE. 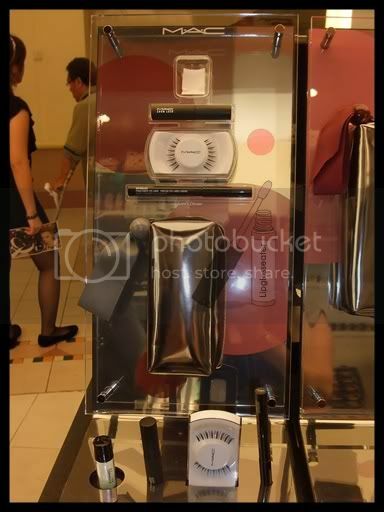 Next is the supposedly Nordstrom Exclusive set called Love's Divine Lash Kit (US$48 / RM180). This kit comes with a Rapidblack Penultimate liner, a small vial of the Reflects Transparent Teal glitter, a 7 Lash and the Zoomblack Zoom lash Mascara! 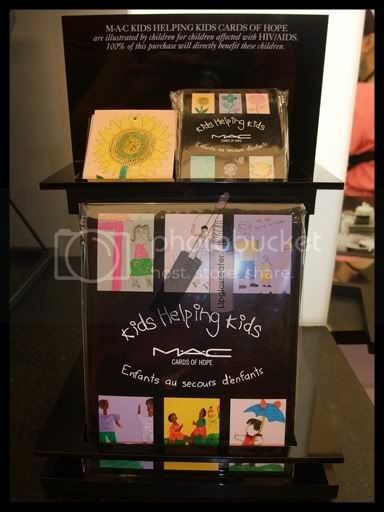 Last but not least, there's the Kids Helping Kids cards too. You can choose from a pack of 6 postcard sized cards, or 12 small gift tag sized cards. They go for US6.50 / RM30 per pack. 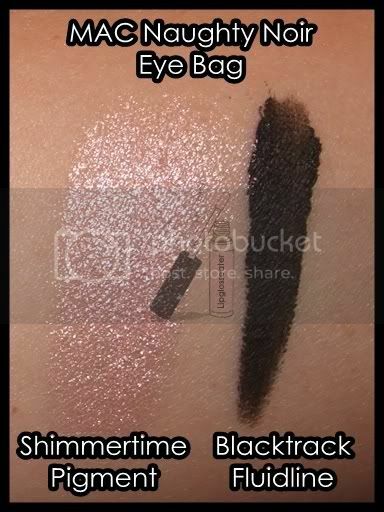 great swatches again Jenn! Seriously, looking at your review always save my $$$ XD Did you get any from this hol collection? 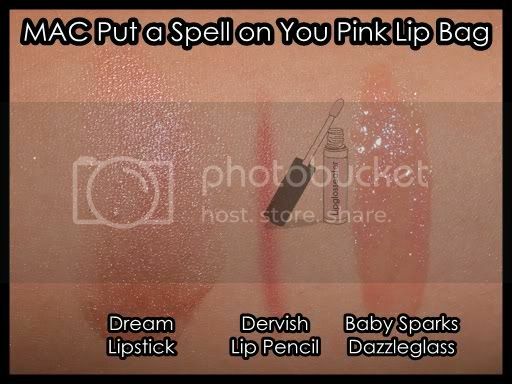 i know this comment is a bit late from the first day you posted about MAC holiday collection, but all of your swatches are great and really helpful Jenn! I've been wanting to check them out but sadly I'm stuck at home studying >_<. 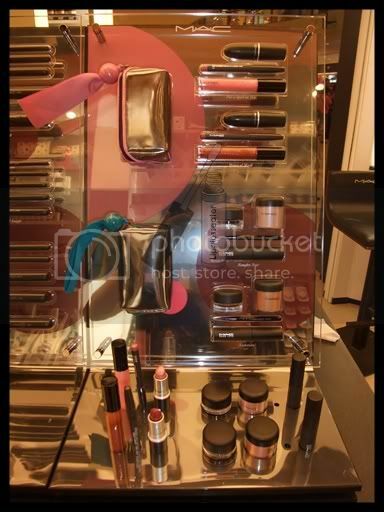 I'm unfamilliar with Mac...so how long will this collection last? Shuu: don't worry about being late la!! Glad my swatches helped you!! Claire: awww... poor girl!! *hugs* Not too sure about other places but Penang will have the event for 10 days, until the 8th of this month.